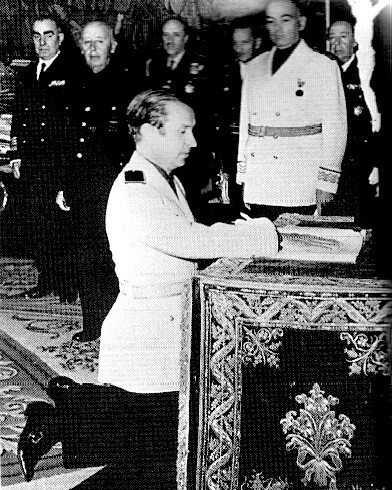 LEFT: Samaranch, dressed in full-blown Fascist uniform, is sworn in as a National Councillor in Spain's sham "parliament" by General Franco in 1967. 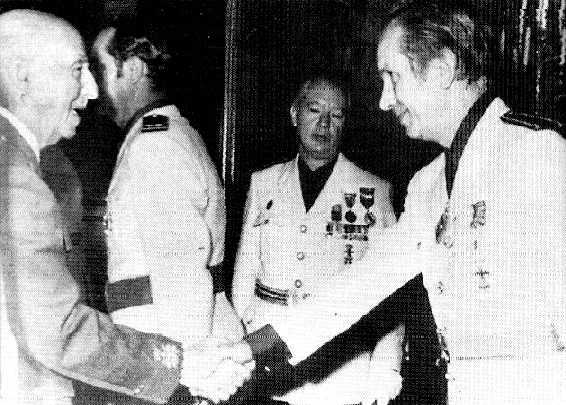 RIGHT: Samaranch greets his leader, circa 1974, just a year before Franco's death. He was a loyal Francoist to the bitter end.